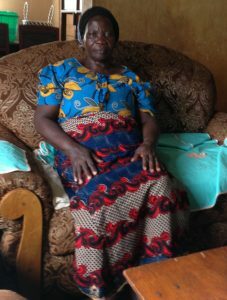 You could be forgiven for wondering what a 70 year old widow from Malawi could possibly teach you about digital marketing, especially as her product is aimed at those with neither reliable electricity nor much spare cash. Intrigued? Read on. All will be revealed, but first a bit of context. 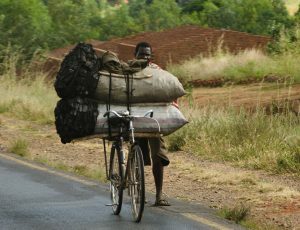 Malawi is one of the poorest countries in the world. For the lucky 22% of the workforce, there are jobs; some quite well paid. Everyone else has to fend for themselves. Entrepreneurship, far from being a glamorous lifestyle choice, is grim necessity, but few know how to grow businesses beyond subsistence farming or basic trading. With marketing skills and a bit of direction, their potential is huge. Without, most of it will go unrealised. Bella’s energy belies her 70 years. She sells charcoal for cooking in small bags because her customers cannot afford bigger bags. Her 6 kids have grown up but are still at home. When we first met Bella wanted help to advertise her business at the nearby hospital. I say met; actually we communicate entirely through William’s Skype who also acts as translator, Only now, after 6 sessions with her, are we seriously thinking about an advert. Had we done it earlier, we would most likely have wasted our effort. I like to think I know a bit about marketing, but the context in Malawi is so far removed from my experience that it might as well be Mars. I cannot tell Bella definitively how to grow her business. Instead we tried various experiments to help develop “distribution channels”. The real aim was to inspire action and overcome her fear of selling. Our first session revolved around why her current customers liked her and what similarities there were. Could we find more of the same? If so where might we go looking? It was curious hearing the odd English word in her speech as William translated, but it reiterated the power of slow simplicity. There is something deeply satisfying about escaping excessive complexity, haste and pseudo rocket science to achieve something amazing. What does this teach us about digital marketing? So what has this to do with digital marketing? Well there are 3 striking parallels. Too many people rush in with landing pages, adwords and automation without stopping to focus a specific offer on a very particular customer need. Neither do we really consider traffic. Digital marketing needs browsers just as Bella needs to find where her prospects hang out. Armed with the right context, the strategy almost writes itself, and high conversions follow on, but often the right context only becomes apparent after a few iterations. Even the most successful digital marketeers do not hit the jackpot on their first attempt. These might seem obvious when you think about it, but sometimes you have to step outside to see it or experience it for yourself to believe it on. The more I work with people like Bella, the more I learn about people like me. We are not so different underneath, but you only find that out through rapport – a most valuable business skill.